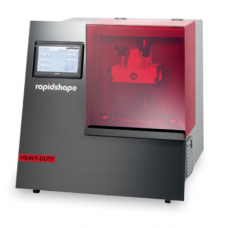 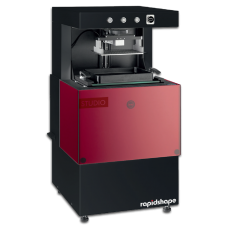 S20 Rapid Shape Machine Rapidshape S20 technical data [PDF] The most economic professional printer suited for casting shops, design offices and jewellery companies.With the compact and practical S20 II printer, you have the ability to professionally yet easily convert any type of jewellery ..
S30L Rapid Shape Common Process for 3D Printing SPEED & ACCURACY Highly accurate & flexible generative desktop printer with ultra-fine resolution Up to 4 times faster than comparable systems with “force feedback” option Best-in-class pixel resolution with +/- 21µm, z ..
S40L Rapid Shape Common Process for 3D Printing The S40 printer combines precision and flexibility for jewelry design and production. 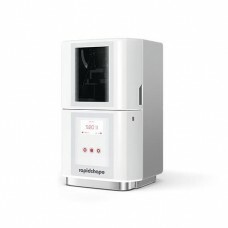 You go directly from 3D CAD drawing to prototype manufacturing.Highly efficient generative 3D Rapid Prototyping & Manufacturing with ultra-fine resoluti..
S60 Led Rapid Shape DETAILS: Highly efficient generative Rapid Prototyping & Manufacturing System with ultra-fine resolution to manufacture 3D models for direct casting, direct mould making or general purpose shapes.S60 is the first large production system that comes with LED light sou..
S90 Speed Rapid Shape Machine Common Process for 3D Printing Download technical data [PDF] Highly efficient generative Rapid Prototyping & Manufacturing System to manufacture 3D models with ulta-fine resolution. 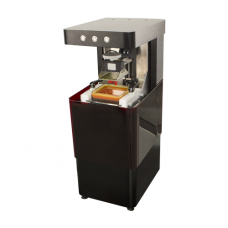 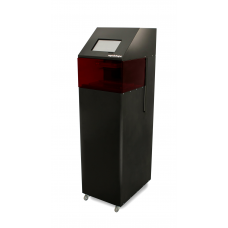 S90 is a real mass production system for additively manufactured parts ..